Grade History report allows teachers to select specific students, grade items and/or graders and view the grading history for certain dates. 2. Under the Administration block on the left-hand side of the screen, click Grades. 3. 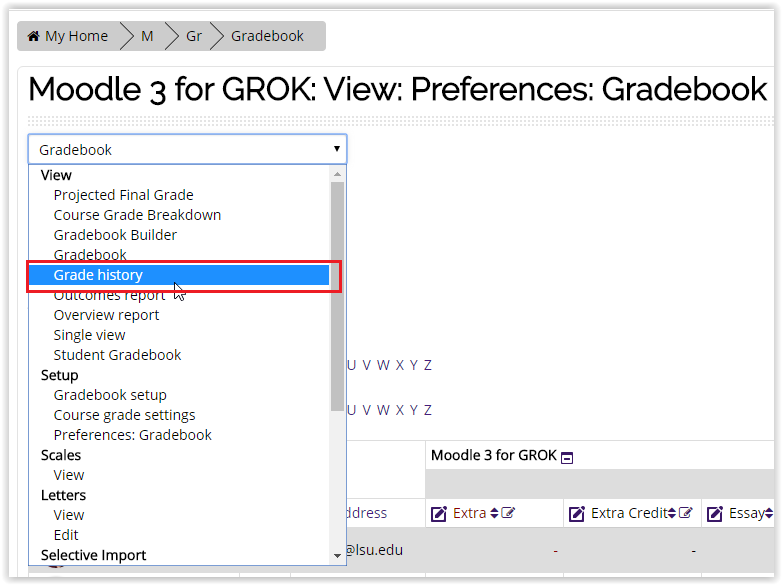 Choose Grade History from the drop down in the top right corner of the Gradebook screen. 4. The Grade History Page should appear. 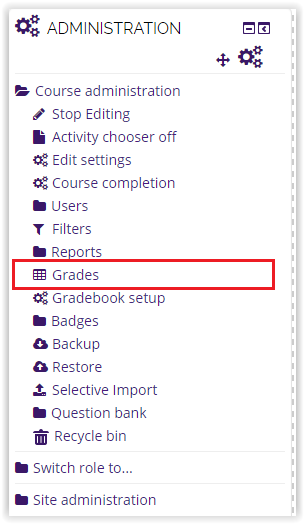 Here you can filter by Users, Graded Items, Grader, Dates, and Revised Grades Only options. 5. When you are done, click Submit at the bottom of the screen. 6. The grade history will be displayed and can be downloaded.